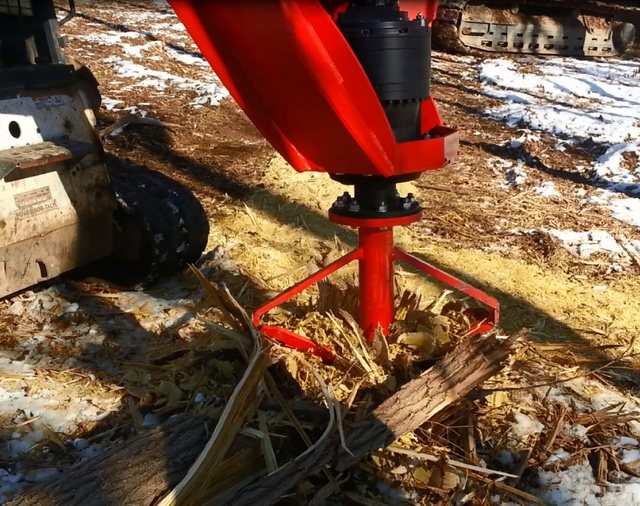 Fecon introduces the Stumpex stump grinder for skid steers with as little as 20 gpm hydraulic output. Low rpm and as much as 33,600 ft-lbs of torque at 4,000 psi enables the 1500-lb Stumpex to draw itself down into any species of stump 10 to 28 in. in diameter and up to 20 in. deep in a single pass. Larger diameter stumps are processed by making additional passes. A threaded cone and staggered AR500 cutting blades grind out stump and root material with minimal discharge without requiring any fast-wearing carbide cutting tools. Stump chips stay mostly in the hole traditional stump grinders create, making clean-up after grinding with a Stumpex faster and easier. 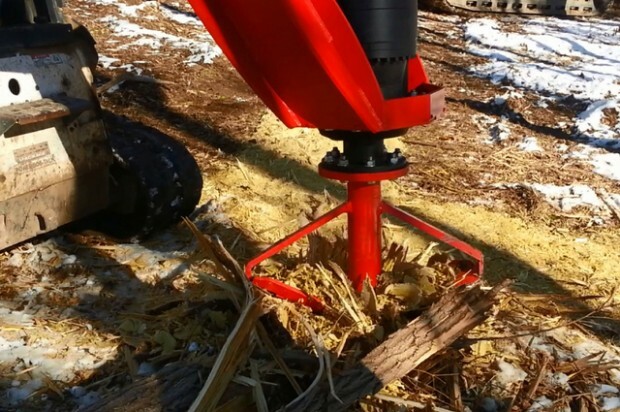 Low maintenance costs, high production, less clean-up, and increased safety make the Stumpex a great opportunity for stump grinding contractors in land clearing, tree care, and municipal applications. Fecon Inc. was established in 1992 near Cincinnati, Ohio. Fecon’s Bull Hog is currently the #1 selling forestry mulcher. Fecon also provides track carriers and other equipment for vegetation management, geothermal, seismic, and wood to energy biomass industries. For more info, visit www.fecon.com. @CompactEquip Thanks for the shout out & post!